F-Secure was the first antivirus vendor to establish a presence on the World Wide Web. The F-Secure Labs tracks global internet and mobile security threats.F-Secure competes in the antivirus industry against Avira, BullGuard, Bitdefender, FRISK, Kaspersky, McAfee, Panda Security, Sophos, Symantec and Trend Micro among others. 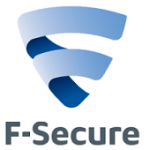 F-Secure protects against viruses, spyware, worms and Trojans. F-Secure can also locate and eliminate rootkits. This antivirus software also protects against viruses spread through emails, cookies or malware that attempts to infiltrate the PC registry. AV-Test out of Germany places F-Secure among the leaders when it comes to performance. F-Secure is also among the handful of antivirus software products to win an Advanced A+ rating from AV Comparatives. The Virus Bulletin found F-Secure right on par with most of the best antivirus software competitors. F-Secure antivirus gets best performance scores from AV-Test. That’s cleared my thoughts. Thanks for coinributtng.